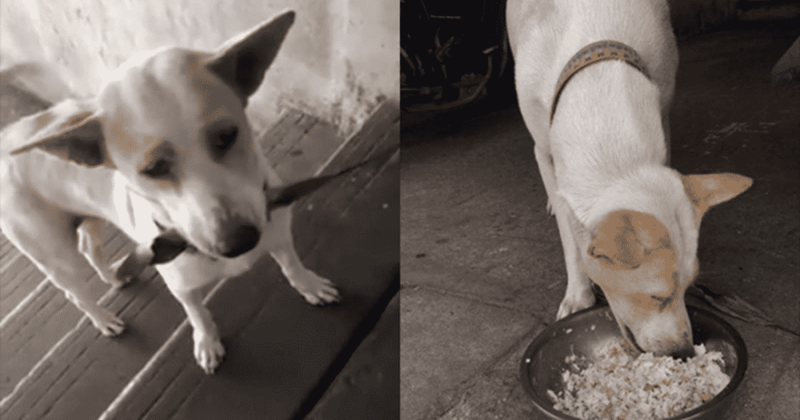 Orawan Kaewla-iat feeds stray dogs near her home, and has been doing so as long as she can remember. One, a pair of dogs, mother and son, came to her door. She would later name the younger dog Tua Plu. After she fed them, they left. The next day, the came back. This time, Tua Plu brought a gift with him. Obviously, Orawan fell in love with this adorable dog. She filmed one of their interactions and put it on Facebook. What’s adorable is that he won’t eat until his present has been acknowledged. This dog cares, and wants to express his love for Orawan. The video went viral in Thailand, then the rest of the world. It has been viewed over 3 million times. Thanks to the video going viral, hundreds have offered to adopt Tua Plu and his mom. Whoever ends up adopting them is sure to be showered in gifts.